I went out to the church to put add some branches to the burn pile. 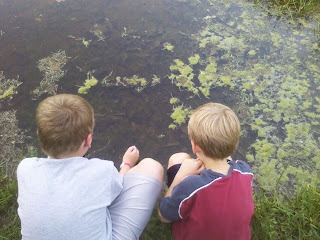 While we were there, my boys discovered a pond, teeming with life. 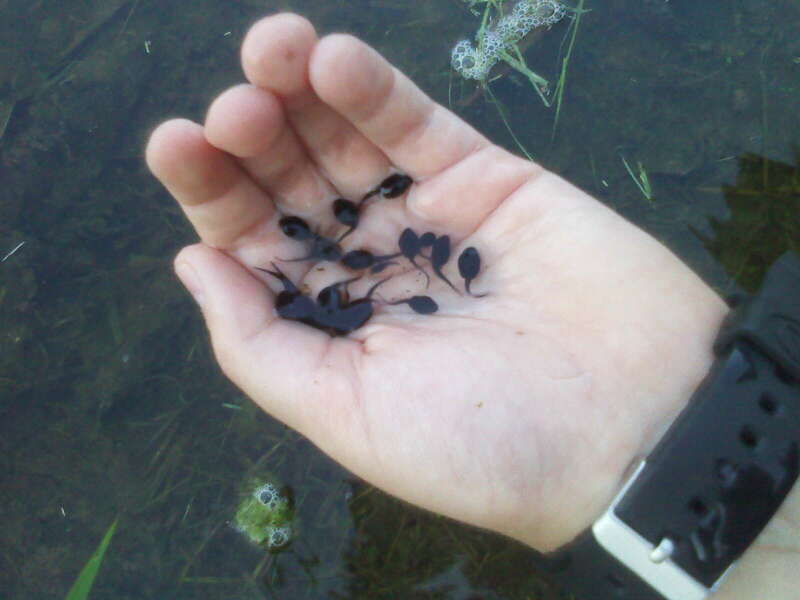 Literally hundreds of tadpoles. 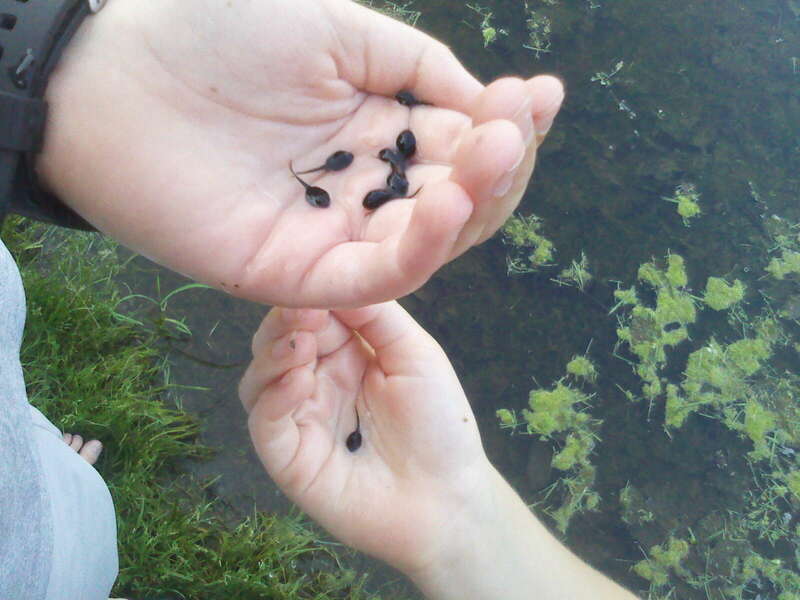 So, I snapped some pics of my little tadpoles looking at those hundreds of tadpoles. 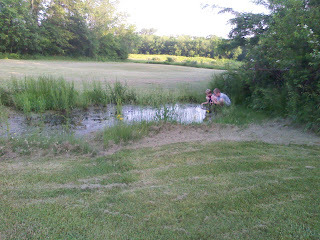 Here is the little church "pond"
They spent the entire 30 minutes that I was there in this same position. 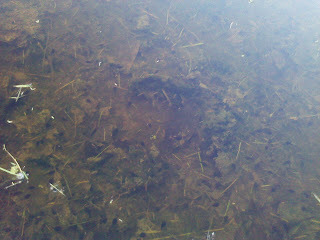 I wish I had a better camera with me. the colors in this picture were so vibrant. 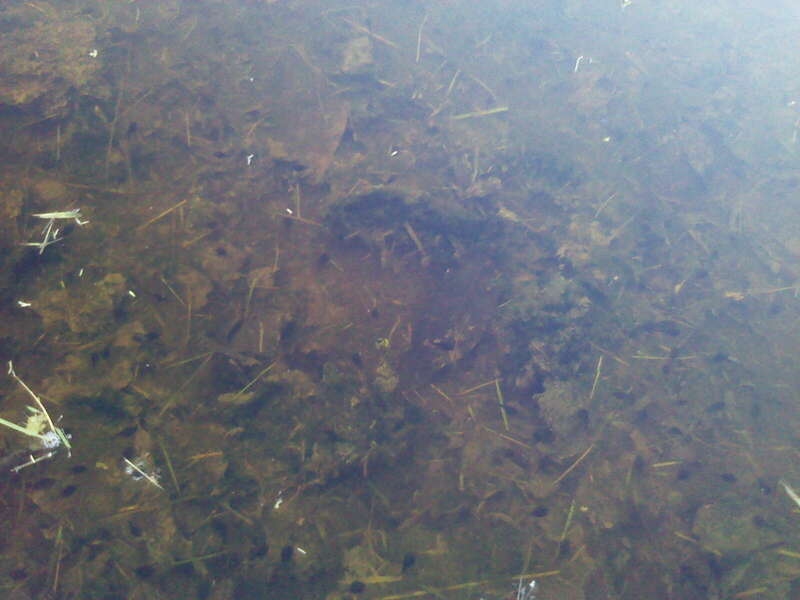 Click this one to enlarge, so you can see the hundreds of tadpoles in the water. Being boys, they cannot resist picking up the tadpoles. Asking him what they felt like, "well... 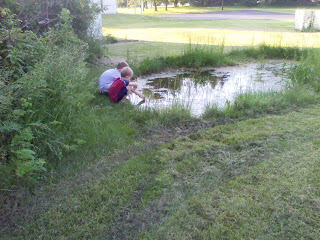 wormy."